Active Generations Adult Day Services serves adults age 18 and over. Younger adults we serve may be stroke survivors, have a traumatic brain injury (TBI) or a development disability. We follow all licensing guidelines for our staffing rations and increase staffing levels as necessary to ensure the quality of the programs and safety. Professional staff includes: Director, Assistant Director, an LPN, an Activity Director, a Family Caregiver Case Manager, and Certified Nurse Aides (CNA). All Adult Day staff members are certified in First Aid, CPR and AED. You may choose the days of attendance, from one day to five days per week. It may be beneficial, to both the participant and the caregiver, to attend at least three days a week to provide beneficial respite for the caregiver and a consistent schedule for your loved one. No. Although many physicians recommend Active Generations Adult Day Services, a doctor’s referral is not necessary. However, a physician-completed statement about your loved one’s medical condition is required upon enrollment. What are minimum requirements for participation? Adults with a wide range of disabilities routinely attend and benefit from Adult Day Services. Generally, participants must be partial weight bearing, exhibit appropriate behavior that does not put others at risk, and not require prolonged bed rest. What acuity level do you accommodate? Working with the individual’s private physician, Adult Day Services nursing services regularly accommodate respiratory treatments, injections, incontinence care and simple wound care. We frequently provide care for individuals receiving hospice services as long as prolonged bed rest is not required. To maintain our high-standard of care and to ensure maximum benefits from the program, drop-ins are not recommended, but are permitted. We have found that regular participation (ideally at least two days per week) is most advantageous for both the participant and the caregiver. 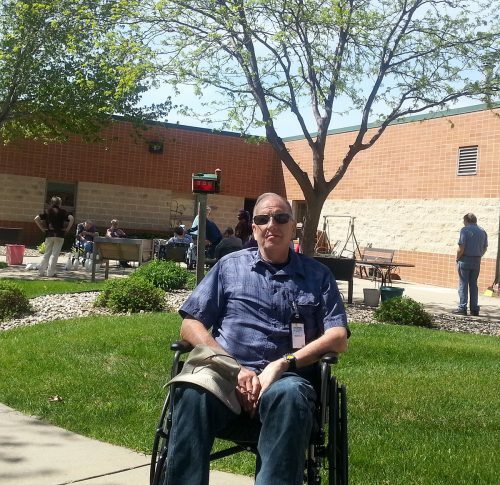 The Adult Day Services staff help participants access transportation services through Sioux Area Metro Paratransit, Project Car and Home Health Agencies. These organizations may be able to provide transportation to Adult Day Services for families unable to provide transportation themselves.